State Children's Health Insurance Program Research Papers look at a sample of an order placed for graduate level services on SCHIP. 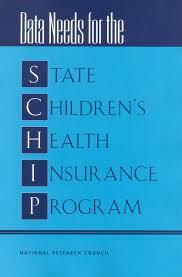 The Topic suggestion for this insurance program research paper is SCHIP (State Children's Health Insurance Program). Generally this type of project is for a student at the graduate or Masters level. If you need custom research written on any aspect of the children's health insurance, come to Paper Masters for custom written projects. The first part should consist of some factual history surrounding the budget issue. The second part should be a solid discussion of possibly the legislation involved, the stakeholders, interest groups and private organizations or entities involved, problems that are impacting the budget issue and etc. The third part should explore the future of the budget issue. What is expected to happen and what should happen according to experts? What are some possible alternatives that can take place, etc? Do not use any first person and definitely do not use I “feel” or “think”. Remember the only opinions that should be addressed are those made by experts that support the side you are arguing. For example, you may state that the state healthcare budget issues are controversial issue in our judicial system and legislative system, as well as, a personal and financial issue for many providers and healthcare institutions. Now you must address this issue with Provide a works cited/reference page with at least 15 different professional "graduate-level" sources of references (not to include your text book). Do not use websites alone, but have a mixture of several different types of sources. State Children's Health Insurance Program (SCHIP) fundamentally functions as an insurance organization through the enrollment of eligible children, contracting to provide service benefits for enrollees, and auditing the validity of claims. In its operations, however, there is considerable overlap with other units in the DMAP. The Mothers and Child Health Unit is responsible for administrating Medicaid programs for children, which includes a significant portion of the child population targeted by SCHIP. The Children at Risk unit provides referrals to PeachCare for children identified as requiring medical insurance, partially supporting outreach. The Pharmacy Unit of DMAP manages the drug benefits segment for SCHIP through contracting and compliance monitoring, and implements the lock-out of drugs that are subject to abuse. The Professional Services Unit manages physician reimbursement for PeachCare. Enrollment and execution of eligibility policy for SCHIP is managed by the Recipient and Third Party Services (RTPS) Unit of DMAP. While SCHIP develops eligibility policy based on the guidelines established by statute, RTPS insures that enrollees meet the criteria for coverage contained in the policy. As a cost savings measure, RTPS has outsourced eligibility determination services for both PeachCare SCHIP and Medicaid to a third party vendor. In addition, RTPS seeks reimbursement for expenses when another liable party is identified through provider reporting or data matches. RTPS is also responsible for quality control of the PeachCare program through the periodic review of eligibility records. In the event that the family of a child enrolled in SCHIP becomes eligible for Medicaid, the child is automatically transferred to the Medicaid program. In this operating context, the role of SCHIP is to coordinate the various support functions provided by DCH to achieve the Unit’s objectives. Operations are heavily dependent on the use of information technology (IT) to process enrollments and claims, and to support compliance with co-payment and premiums. SCHIP does not maintain an independent IT infrastructure, sharing IT services with the DCH. The DCH in turn uses both in-house and outsourced IT services, with the in-house staff responsible for maintenance and operations and the outsourced contractors responsible for systems upgrades and the development of new systems. Because of the position of SCHIP in the DCH organization, SCHIP has only limited control over the way in which IT services are rendered, although it advices DCH regarding the performance of the IT system and its future needs. In addition, the DCH overall budget controls IT expenditures and system upgrades. The strategic management process involves the development and implementation of policies and procedures to meet the objectives defined in the strategic planning process. Because of the nature of SCHIP’s operations that involve enrollment eligibility, benefits payments, and compliance, strategic management is heavily dependent on the ability of the organization to monitor operations through its control systems. As a result, the strategic management process requires a high degree of coordination between the various units of DMAP that deliver services, information technology systems that generate control reports and SCHIP administrative operations. In this process, the role of senior management is to insure that there is adequate coordination between units and that the reports generated by the information technology system provide useful information for monitoring and decision making. While the allocation of sufficient resources to achieve the objectives is generally part of the strategic management process, SCHIP’s ability to allocate resources is constrained by the decisions of the legislature regarding the provision of matching funding for federal SCHIP programs. As a result, a critical role of SCHIP’s director is to develop and justify budgetary requests based on all available data and reasonable forecasts for future needs. In addition, the reasons for variances from existing budgets must be identified and explained to the appropriations committees of the legislature. Children's Health Insurance - Policy topic is Children's Healthcare Insurance specifically, The State Children's Health Insurance Program. Affordable Care Act - The goal of the ACA was to see that every American had health insurance coverage. Common Types of Fractures Found in Children - General care and treatment for children with fractures. Obamacare - Obamacare research papers discuss the goals of Obamacare, which were designed to provide affordable health insurance coverage for all Americans. HIPAA - HIPAA or the Health Insurance Portability and Accountability Act research papers written for Business and Health college classes. Pediatric Nursing - Pediatric nurses can also work in school clinics to provide health care for students and children. Immunization of Children - Immunization of Children Research Papers discuss the issue of childhood immunization and healthcare. Health Care Industry - Health Care Industry Research Papers explore an example of an order of a research paper on the health care industry. VPN in Healthcare - VPN in Healthcare Research Papers look at how healthcare has changed with the computer and communications technologies to the healthcare industry. HIPAA Literature Review - HIPAA literature reviews are very common in Medical Health Courses. HIPAA Research Study - A HIPAA research study uses data from industry-specific publications. Improve the Healthcare - Improve the Healthcare Research Papers delve into an example of an order placed for an argumentative essay with specific instructions to follow. HIPAA Provisions - HIPAA Provisions concern coverage in the small group market, which can consist of 2 and up to 50 employees. Clinical Integration - Research papers on clinical integration will look into the facilitation of patient care and discuss the importance of clinical integration for health care professionals and organizations. Paper Masters writes custom research papers on State Children's Health Insurance Program and look at a sample of an order placed for graduate level services on SCHIP.